A thrilling creepy photo-novel, perfect for fans of the New York Times bestseller Miss Peregrine's Home for Peculiar Children. For sixteen-year-old outcast Dan Crawford, the summer program at New Hampshire College Prep is a lifeline. Finally, a chance to make some friends before college. Even if that means staying in a dorm that used to be a old asylum. Soon Dan's hanging out with Abby and Jordan, and summer is looking up. But then he learns that the asylum was not just any sanatorium - it was a last resort for the criminally insane. 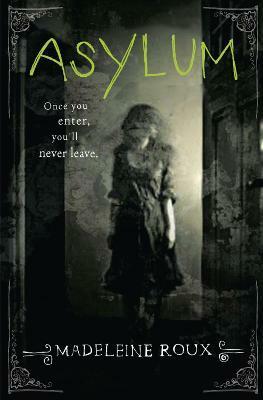 Featuring unsettling found photos of real abandoned asylums and filled with chilling mystery and page-turning suspense, Madeleine Roux's teen horror debut ASYLUM treads the line between genius and insanity. Madeleine Roux is the New York Times bestselling author of Asylum, which has sold into nine countries around the world and which Publishers Weekly called "a strong YA debut." Sanctum is the second installment in the series about Dan, Abby, and Jordan. Madeleine is also the author of Alison Hewitt Is Trapped and Sadie Walker Is Stranded. A graduate of the Beloit College MFA program, Madeleine now lives in Minnesota.